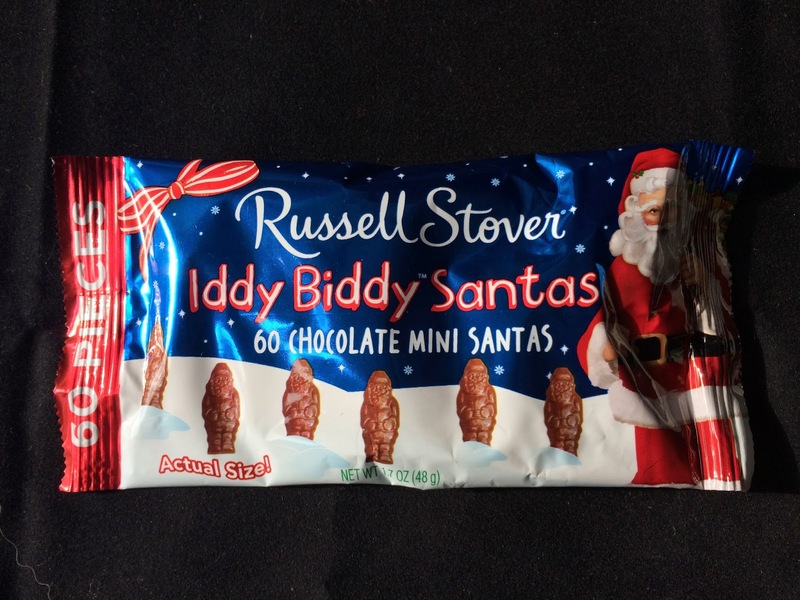 These Russell Stover Iddy Biddy Santas constitute one of my very favorite Christmas treats this year. First, the chocolate is good. That's really the most important. 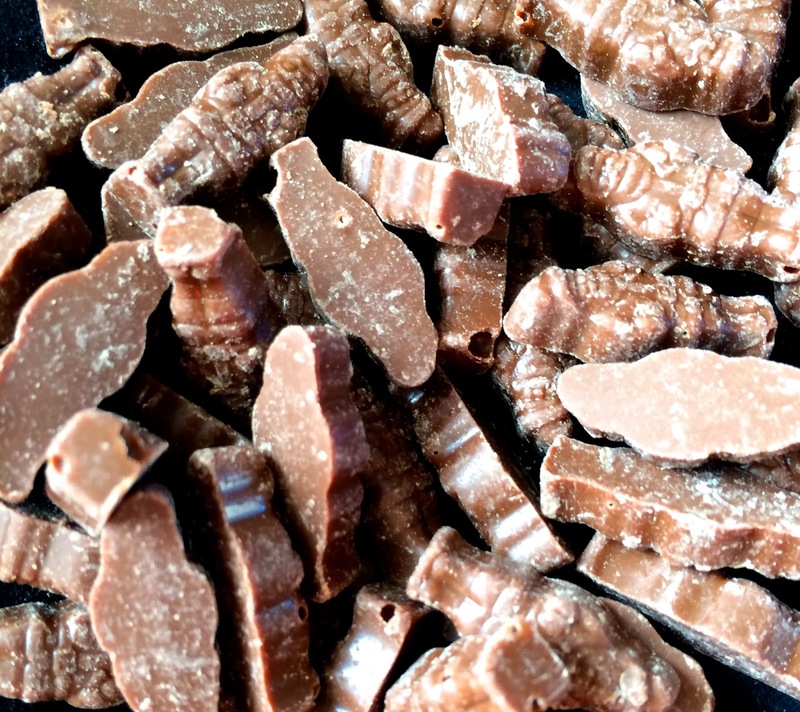 It's tasty melty friendly chocolate. Second, you get a big bang for your buck. 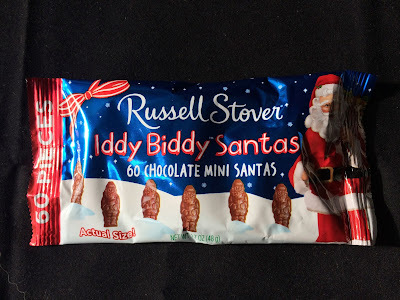 Russell Stover is some of the least expensive mass-marketed chocolate out there but I think it can hold its own against the top-selling brands like Hershey's or Nestle. Finally, there are sixty (60!!) miniature Santas packed into a foil package approximately the size of a bag of Peanut Butter m&m's. Packaging brilliance! You'd never guess so many could fit in such a small bag! These are great! I actually had to buy three packages before I could get one in front of the camera prior to consumption! They're simply too enticing to resist!